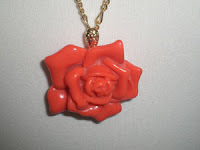 Clemson Girl: Visit Gameday Boutique online and shop for orange and purple – get 10% off of your order! Visit Gameday Boutique online and shop for orange and purple – get 10% off of your order! Have you heard of Gameday Boutique? It’s an ingenious Web site that sells gameday dresses, tops, skirts, and a ton of accessories by color – 14 different colors to be exact! So finding the perfect purple or orange gameday outfit is as easy as clicking on the item category, and then the color. Not only can you get an outfit for the Clemson games, but if you frequent other sporting events for high school teams, professional teams, or live in a house divided and attend other collegiate games, you can find the perfect outfit on Gameday Boutique. Gameday Boutique was created by Tempie Largon and Frances More, both Charlotte natives who attended Myers Park High School and then UNC Chapel Hill. While attending sporting events at Kenan Stadium, the Dean Dome, the Bobcats Arena, Bank of America Stadium, and Lowes Motor Speedway, they noticed that many women, including themselves, were in desperate need of fashionable clothing in the right color for their team.…hence the idea and creation of Gameday Boutique. 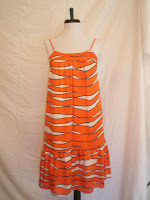 Dresses – Here are some of the orange and purple dresses that Gameday Boutique sells. These dresses are so pretty. The first three would be great in October, at a Clemson game, paired with a nice cardigan or jacket and a pair of boots. 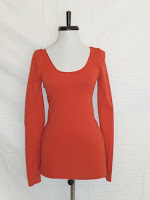 The orange tunic dress would be super cute paired with brown tights or leggings and a brown belt. Love these! What would you pair these dresses with? Gameday Tops – And for you more casual Clemson Girls, these tops would be great paired with your favorite pair of jeans! 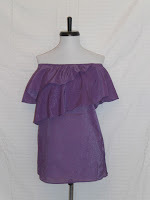 I love, love the purple top with the ruffle at the top – you can wear it on the shoulders or off the shoulders. It’s so pretty and feminine, and would be so cute with jeans. Gameday accessories – Gameday Boutique has a great selection of gameday jewelry – how unique is the tiger bracelet below with the tiger heads – it looks very expensive, but it’s only $32! 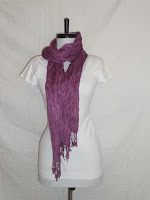 They also carry really great orange and purple scarves – they are nice and thick so you’ll be warm and cozy come November – and stylish! This is just a sample of all of the great gameday attire and accessories Gameday Boutique has to offer – get your Wake Forest gameday outfit and your LBD (little black dress) in one purchase… all from the convenience of home. Gameday Boutique is a genius idea – and will make shopping for gameday outfits so effortless. And it's all very affordable – everything is under $175. You can also join Gameday Boutique’s Facebook group to stay up to date on their latest items and updates. And it gets even better… Special Offer for ClemsonGirl.com readers: Use the coupon code CLEMSONGIRL and get 10% off of your order! Thanks Gameday Boutique… that’s awesome!